Being a Queenslander, where our curtains fade slower and our cows are at peace with the world, I failed to account for Daylight Savings time when working off an advertised 10am kickoff for this match – so I missed the first seven minutes. Thus my caveat: if something earth-shattering happened in that time, I missed it. I certainly tuned in to see Higgers already on the field for Kane Douglas and immediately feared how we’d fare in a war of attrition against the passionate Los Pumas at home. My fears were quickly allayed. That’s not to say the battle up front wasn’t tough (it was) and that the result was to be a lay down misère (it wasn’t). What I saw though was a committed Australian pack and a backline that was actually doing stuff. Oversimplification? Maybe, but the feeling among many punters that the Wallabies were consistently failing to chance their arm was rife (and complemented beautifully by Hux’s article earlier this week). All of a sudden in Rosario, Phipps and Beale had plenty of options and had only to pick one – a far cry from the one-out play that characterised our most recent performances. 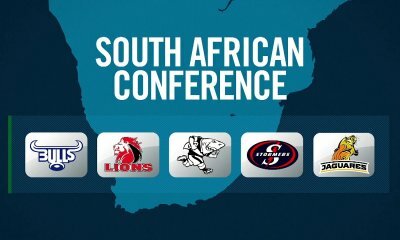 It was a good win given the circumstances (injuries, travel factor) and our second place in the Rugby Championship will probably see Deans through to the Lions tour, especially given the ever-shortening lead up we have to prepare. Nonetheless, there is still huge room for improvement and we’ll have a mountain to climb against the All Blacks at Suncorp in two weeks. Good ratings, although I think you have been a bit generous to Digby. He had a shocker. Would have Ben Alexander a bit higher too. Mate you forgot to factor in the Reds “+2″. all Reds players automatically start with a +2 on the other players. It’s a prerequisite for anyone living in Queensland to rate players that way. Absolutely, my mistake. Harris definitely deserved a four and Higgers a five. As for Gill… just begging for a three. And yes I know BaaBaa’s comment centred on Digby – you’ve seen my thoughts further down in the comments I notice. I agree. How you rated samo equal to hooper is beyond me. Samo was average and made the second most errors after digby and hooper had another cracker. For me hooper 8, Beale 7, rest 6’s or below. Ioane was looking at a 3 but probably scrapes a 5 due to the absolutely magic ball Beale supplied him with. The one red (kind of) who did perform is higgers who I think had his best game in gold. Normally he’s a ghost on the park. Gutsy performance full of heart and character but devoid of skill (particularly the catch the ball skill) and a discernible plan. Can’t blame the players but can (and I do) blame Deans. Thought Hooper was the pick, Higgers and fat cat did well too. Thought Phipps struggled and poor old Digby rediscovered his butter fingers (points for effort). So it’s deans fault that the players can’t catch the ball? Yes it is actually. It’s his job to keep practicing those basic skills even when they get in to Wallaby camp and to create an environment and gameplan they feel confident with. If there is uncertainty in their mind, mistakes will continue to happen, as they have done over the last 5 years. The 5 years in which we’ve gone from 5th in the world to 2nd? And where we have lost embarassingly to many teams ranked below us T. The rankings have become a joke. We’ve won 5 in a row against the best team in the northern hemisphere, had done the same against SA and finished 2nd in TRC. So who’s ranked 2 if not us? I don’t really know how the wallabies training scene works, but even though you hear about him being more hands on than other coaches I don’t imagine Robbie getting out there with a bag of balls and putting them through ball-handling work! T – the only reason we have had the wood on the Boks is because their coach PDV was a complete fool. We don’t have that luxury anymore. We now have the greater fool. And why wouldnt Deans get out and do ball handling lwith the players ? They obviously need it instead of the drivel. Is it below him ? A casual observer branding a 5-time super rugby winning coach a fool really astounds me. How is it the national coach’s job to teach players to catch a ball? That is their under 7s coach if anything. Robbie is given average cattle to work with. I must say the most errors by far were by ioane, samo, tapui. What is the supposed “master coach” with his solitary super title coaching his players in Queensland???? The blame couldnt possibly be his. Rob – the Reds players can’t understand his jibberish. It wouldn’t worry the Tahs players. And if their ball catching skills have fallen off since being in the Wallaby camp Deans is supposed to do nothing about it ? How much is he getting paid again ? Johnny-boy, can I just check – are you saying you don’t like Deans? If the Honey Badger only deserves a 5, then Digby deserves a 4. The HB was the better of the two and I would rate him at 6. Reckon he could have breached the try line on a couple of occasions too had those inside of him not failed to pass to him. Yes Digby got the try but it was from a set piece move that he would have rehearsed time and again during his Wallaby career. Fair comments re: Diggers and I certainly see the arguments. I wavered with a 4 but thought that he made enough positive contributions to even it out. Slipper got dragged because he couldn’t hold up the scrum and you have given him a 5? Sorry – that’s another I don’t agree with. It’s half his job to hold up that scrum and he failed to do so. Totally agree. Fat Cat’s scrummaging in the second half was a key factor in the win. He was substantially better than Slipper (for the first time this season, I might add). Fat Cat was certainly better and I think the comments reflect that? Slipper wasn’t ‘dragged’ – they were always going to share the load. The scrum was fine when he was on – it was just a shitload better when Benn got stuck in. A bit generous to some of the backs. Their inability to catch and hold oto the ball was very poor. Humidity is a poor excuse for test level players. The forwards generally tried hard but we are constantly let down by inadequate basic skills. How can you give TPN a 6? he was a penalty magnet all game, dropped the ball twice and he was ineffective carrying the ball. Should have been subbed at half time. Also overthrew at at least two lineouts. Altogether, not a good outing for TPN. TPN was the least effective Wallaby forward. A very low work rate.. however always gets praise.. maybe it’s the Afro. I was thinking exactly the same thing… Also for Benn Robinson. To think either of those two played a “solid performance” just shows how low Australia’s expectations of front-rowers are these days.. neither would make any self-respecting rugby nation’s national side in a fit. To be fair to Robinson he didn’t do too much around the field, but he absolutely monstered a world renowned scrum. Probably one of the worst games I’ve ever seen Tapaui play (understandable as first game back for a while) but still looks miles ahead of Pat McCabe at inside centre. Thought Pat McCabe’s game was about the worst I’ve seen from him. I would prefer either Tapui or O’Connor at 12, and leave Pat to the Brumbies. By tapui’s standards he played just alright, but he looked awesome compared to the crap we’ve been putting up with in the centres of late (horne, barnes et al). Bit hard to insert yourself into the game when you make yourself available three times for a final receive and almost certain try, but the selfish greedy centers refuse to pass. Cummins did everything asked of him, caught well, tackled hard, rucked. Thrown together backline, gotta expect that given Robbie’s mantra of playing what’s in front of you….maybe he should replace it with RECOGNISE what’s in front of you though. Cummins didn’t help by dropping that pass from Samo. If he gets another few chances he might go ok(wink, wink Shipperly), I reckon he might be a decent OC in the making. Cummins dropped that one pass compared to the heaps of handling errors Ioane made. Reckon the honey badger is much more than an OC in the making – he has already made it! Just needs to get the selectors to remove their eastern states blinkers. I thought Slipper should have been starting in Alexanders spot, still think that. 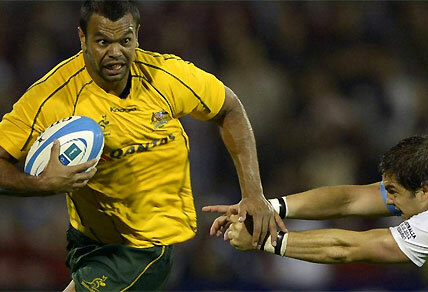 Best thing on the wallabies side of this game was Beale and Tapui,…. and Harris, finally a good kicker who can actually run (neither Beale or Barnes are convincing kickers). Hooper, great highlight moments, and they can lift a team, but overall I would much prefer to see Gill in his spot. Now that’s surprising from you Bill – pushing for more reds. Hooper had a blinder and was clear MOTM, but of course Gill would’ve done better! Hooper was awesome. He is looking like a complete No.7, wish we had more like him. Gill is very good too- but hasn’t developed the great running game of Hooper yet. I like Hooper, but those highlight runs are pretty rare and I’d say we’re forgoing at least 2-3 turnovers per game by having Hooper instead of Gill through difference in technique. And when Poey comes back I doubt we’ll have 3 opensides in the squad, as enjoyable as that might be. My guess is they see Poey and Hooper as their picks for that situation. It’s reminiscent of Waugh vs Croft. Except Hooper is better than Waugh as 7. So agree with your comment about Michael Hooper….”David who…?” This young bloke is an absolute machine and is everywhere on the field. Tapui dropped at least two balls as well. I’d like to see him get another chance, but it was a pretty ordinary game from him. Cummins took 2 tough kicks and had above average defense, thought he deserved more. I thought Harris looked a little pedestrian at times, he didn’t seem to get into first reciever when it was “on”, either. But then not being a natural FB, it’s what you would expect. Gill and others holding up of a player was superb, when they did it again soon after I felt that the Argies were given too much time to clear it, which ultimately resulted in their try. Agree re Tapuai. If he had tackled his man to the ground rather than attempt to hold him up that try might not have been scored. Well at least not at that point. Gud effort by a beatn up battered wallaby side who a lot of people wrote off for this game. Not sure what game all the Reds fans were watching – Tapuai was very ordinary, and he was responsible for stifling the attack several times, not just that one butchered try. I thought TPN worked very hard. The fro makes him easier to spot at the breakdown, but I really liked his intensity. Will have to watch the replay to see what people are complaining about. McCabe played a good defensive role, but this is often harder to notice in real-time. He did some good work holding the ball up, and not letting the ball-carrier go to ground. Didn’t set the world on fire, but he played his part pretty well in my mind. On the basis of number of penalties given away TPN 5. Timani definitely a 7, he was immense, particularly in the first half. Hooper an 8, great game. Samo a 5/6 depending how generous you feel. Not one of his greatest. Beale 7, really good to see him looking like this. Digby would have been a 2 if not for the try. 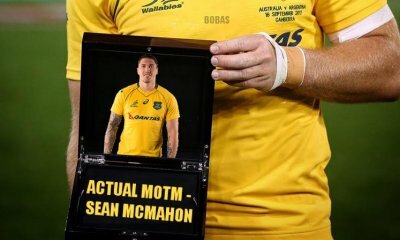 His worst game for the wallabies, gets a 4 for the try. Feeling magnanimous. McCabe did all the little things so well, was great in defence and a definite 6, was surprised Cummins did so much of the crash ball though. Cummins had a really, really good debut. Dropped a shockingly ordinary pass from a flustered samo, and one ball when taken in the air. A 6 and a good start. Definite bledisloe starter. Robinson was a massive part of the win and I’m incredulous that you didn’t give him a 7… Deans masterstroke dropping him! As a team effort i give it a 7, and I’m hugely proud of the endeavor, determination, grit and willingness to throw themselves into the contest. A ray of hope that we won’t get done by 50 in Brisbane! Digby had an absolute shocker. I counted 4 lost possessions in the first half and was lucky not to be 5 as wallabies received a penalty. Were more in the second. 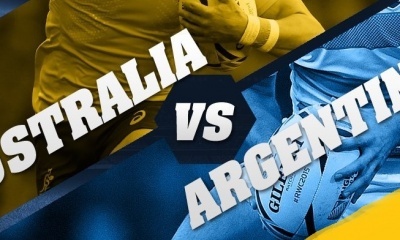 He was also responsible for the Argies try – Digby was the tackler around the legs and let him go to get back in position before tackled player hit the ground – kept going and scored. Chases hard at kick off but does not watch the ball – so impact is limited. Did score a nice try. But seems to have lost his line break mojo. The Argie player did techincally go to ground – you can see him on his knee in the replay. I guess Digby wanted to release as quickly as possible to try to scavenge. They shouldn’t have been able to keep going, and the try was illegal. The try Beale laid on for Ioane… is not a new one. 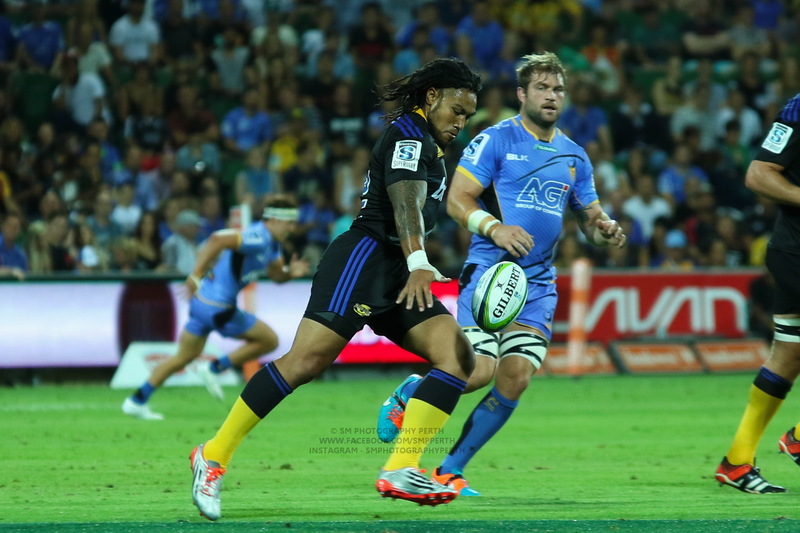 Gits put Ioane through on the same move v England (i think) a few seasons back…. I’m guessing Beale made the call to run that move because if I recall correctly Deans has removed all first phase moves in the back from the Wallaby play booklet and didn’t he recently say that teams can’t or shouldn’t score off first phase in international rugby?? The bottom line is… we should be running more and more of these moves. Like we use to do. That would explain why when the camera showed the coaches box after the try Deans showed no excitement. He was probably thinking to himself WTF do these Aussies think they are doing – why isnt Patty doing crash ball ! Bit harder to break the line with a bung knee. I think you have to give Diggers a point just for being on the field…and staying there. If he’s not fit he shouldn’t be playing. Last I checked having a sore knee didn’t affect your handling in the contact anyway. Stop making excuses. Digby has been carrying a knee injury for a while, and hurt it again last week. He tweeted that he played with pain for the whole 80 minutes. What are our medical staff doing then? Crazy to let him carry on if that’s true. Hooper 10 Higgers Sharpe Timani 8 Cummins and Tapuai 7 (factoring future growth potential). Overall team effort 10. Hooper was omnipresent and close to omnipotent. I am not sure if he is omniscient, but GOD he’s good. I believe he is the closest thing to God we have. And my God is George Smith! Your write up doesn’t match your grading system. According to your write up his rank should be at least a 6, possible a 7. Which one is it? I can only comment on select areas of a player’s performance otherwise that table would become enormous and boring. Clearly those positives were re: one particular area but the rating must still be reflective of their whole performance. Of course given the disjointed nature of the match it would have been hard for Gill to get his hands on the pill, or crack out some great support play (etc) in only ten minutes. Nonetheless I can only rate what is actually done. Great tackling, enthusiasm and 80m run through and away from about 4-5 would be tacklers. Does it matter that this is the second time that Dingo has outsmarted Sir Graham in a row? Well done Wallabies. If they start Dennis over higgers at six again I will walk home backwards naked. Samo needs a sub at the 60 min mark. I just want to say wyclif is the highest paid aru top up contract wtf. That’s ways wrong with aussie rugby every one makes these injury prone plays irreplaceable. Give the money to guys who play. Kills me. Like to see mowen on the bench instead of Dennis to back up samo and higgers. RM, after your first three words you have my sympathies. Getting things like time right’s always been a problem for our northern cousins. But our time is right, we aren’t the ones fiddling with the clocks twice a year. Time, like your sister Lindo, is a relative concept.